Plugs into 240v power outlet. 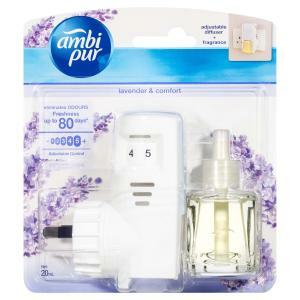 Ambi Pur Plug-Ins Lavender & Comfort Refill eliminate odours and provides freshness up to 80 days. Be at ease in the fragrance of lavender.